Last Friday, Jan. 16, the RBHS show choir programs performed in their season premiere concert in the RBHS Performing Arts Center. Like last year the house was not only sold out, but the standing-room-only crowd had to sit in the aisles of the theater. The Southside Singers opened the event with an impressive performance. The all-freshman group performed for the first time as a part of the RBHS show choir program. Satin ‘n Lace premiered “The Latin Experience” next, in preparation for their competition season, which begins with their exhibition at RBHS’s show choir festival on Saturday, Jan. 18. Satin n’ Lace hopes to build on last year’s Grand Champion win at Nationals in Nashville. 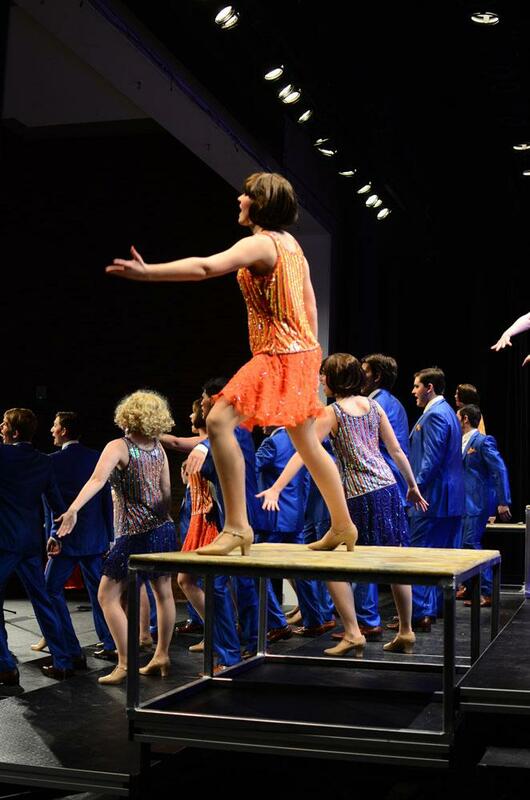 This year, City Lights performed “The Great Gatsby,” based primarily on the 2013 film directed by Baz Luhrmann. One song from their show was Fergie’s “A Little Party Never Killed Nobody,” made popular by the movie. City Lights and Satin ‘n Lace open their competitive season Feb. 1 in Pleasant Hill. Cannot thank you enough for posting this! Being able to see my two super talented little sisters and all my friends back in show choir totally made my day!